As AGWM administrator, Keith Kidwell is responsible for directing the support services for more than 2,700 missionaries and missionary associates around the world. He was appointed to this position in 2010 after 24 years in missions in Asia Pacific and Northern Asia. Born in Washington, Keith grew up in a Christian home. A fourth-generation Pentecostal, he sensed a call to ministry at an early age. He attended college, intending to major in music education. Service in the U.S. Navy interrupted his studies and changed his life’s focus. While doing volunteer work among Negrito villagers in the Philippines, he knew God was leading him to be a missionary to Asia. Keith and his wife, Mary, were married in 1977. The following year they went to the Philippines as MAPS volunteers. To prepare for full-time missions appointment, they returned to Washington and pursued further education. 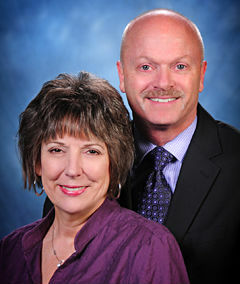 To gain ministry experience, they pastored in Rainier, Washington, and were associate pastors in Portland, Oregon. While in Rainier, Keith also served as chaplain for three different law enforcement agencies. In 1988, the Kidwells went to Taiwan as appointed missionaries. During their ministry there, they learned Mandarin Chinese, and Keith served as president of Assemblies of God School of Theology in Taichung. Ten years later the family moved to Baguio, Philippines, where Keith was business administrator at Asia Pacific Theological Seminary. In 2000 he was named Southeast Area director for the Northern Asia Region. The Kidwells moved to Hong Kong in 2003. From this base, Keith served as business manager for all of Northern Asia while continuing pastoral and administrative oversight for all outreach activities in the Southeast Area. He and Mary moved to Springfield, Missouri, after his appointment as AGWM administrator in 2010. Keith has a bachelor’s degree in religion and philosophy from Northwest University in Kirkland, Washington, and a master of divinity degree from Western Conservative Baptist Seminary in Portland, Oregon. He and Mary have two sons—Ryan and Tyler.